Numerous animal models have been developed to study excessive alcohol consumption in rodents. Use of such models has played a valuable role in elucidating biological underpinnings and environmental factors that mediate/promote excessive levels of alcohol drinking. A major obstacle in this work has been the need to overcome the natural tendency of rodents to either avoid alcohol or consume it in limited amounts that typically do not produce overt signs of intoxication. A variety of experimental approaches that entail modifying genetic and/or environmental factors have been employed to address this general problem and demonstrate excessive levels of alcohol consumption. Five different approaches that characterize animal models of excessive alcohol consumption are described: models that involve (a) scheduled access to alcohol; (b) scheduled periods of alcohol deprivation; (c) scheduled intermittent access to alcohol; (d) scheduled-induced polydipsia; and (e) dependence and withdrawal experience. Each of the models possesses unique experimental features that engender excessive levels of alcohol consumption. Both advantages and disadvantages for each model are described along with discussion of future challenges to be considered in developing more optimal models. 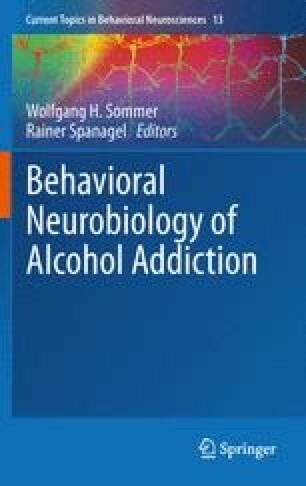 Ultimately, the validity and usefulness of these models will lie in their ability to serve as a platform for studying biological underpinnings and environmental influences that drive increased motivation for alcohol seeking and consumption, as well as evaluation of treatment strategies that effectively reduce excessive levels of alcohol consumption. Supported by NIH grants (P50 AA010761, U01 AA014095, R01 AA018036) and the Department of Veterans Affairs Medical Center.